"Spread love everywhere you go. Let no one ever come to you without leaving happier." - Mother Teresa. So, let's continue spreading love this month. With this beautiful card you can let someone special know how much you care. 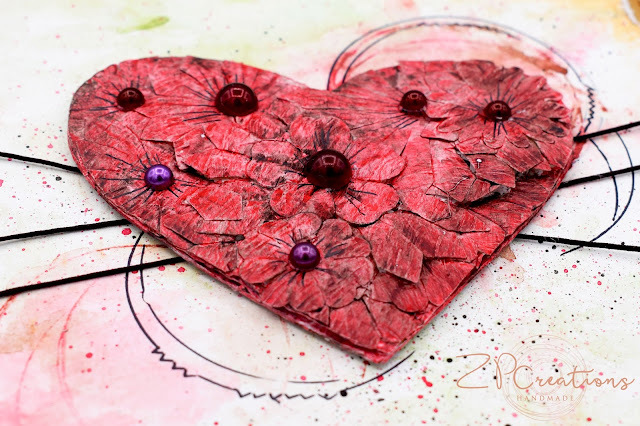 When I started creating it I really wanted to combine a heart shape and some flowers, two of the most distinctive symbols of LOVE, and this heart of flowers came into life. I also decided to add some deep red pearls, just to make it a bit more lavish. But then came the next question, what background should I use for this gorgeous "heart of flowers", that will help it stand out? Of course my first choice was to get out the watercolor palette and create the background, then everything just came together and this beautiful card was born. 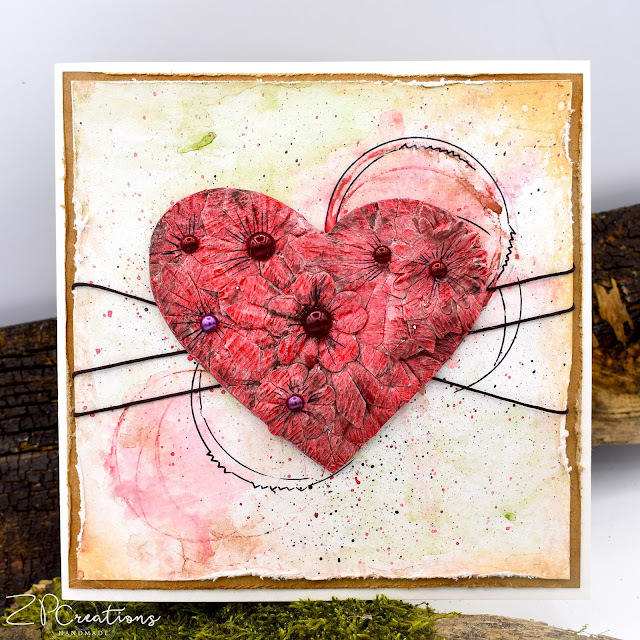 A beautiful card, I love the flower texture of the heart against the gorgeous background. Hey, thank you so much for sharing your project and creativity at 613! What a stunning card! The flowers embedded into the heart shape is inspired and adding the deep red pearls makes it lush and romantic. I really like what you have done with the circles stamped behind it and the added cording across the distressed panel. Absolutely beautifully done! Beautiful creation. Flower design of the heart and red pearls are gorgeous. Gorgeous creation! 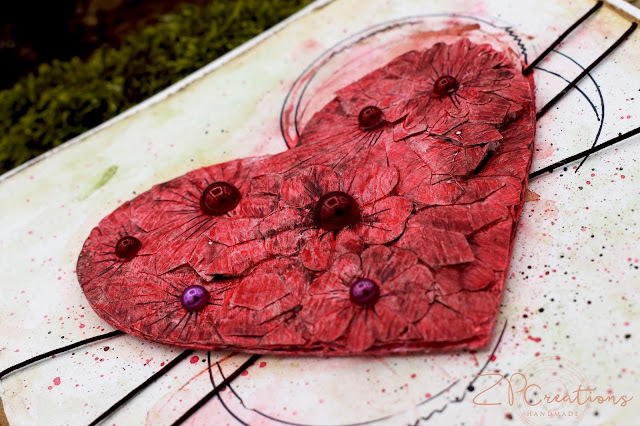 I love design and wonderful heart!